And your 2020 USA Basketball Team consist of…. I know the Olympics aren’t for another 4 years but USA basketball has been dominating since 1992 and the introduction of the Dream Team. When you look at the lineup and see all the hall of famers and then there’s Christian Laettner. From him to be one of the arguably one of the greatest college basketball players of all time and was just an afterthought on this team. 2004 needed to happen because it made us realize that 6 point guards and no rebounding can catch you some L’s like Terrence Williams staying in bounds. After USA won the gold medal in the 2016 Olympics, I wonder what would happen if we sent basketball players from fictional movies for the 2020 Olympics. Would be your starting 5? Who would make the team and who wouldn’t? 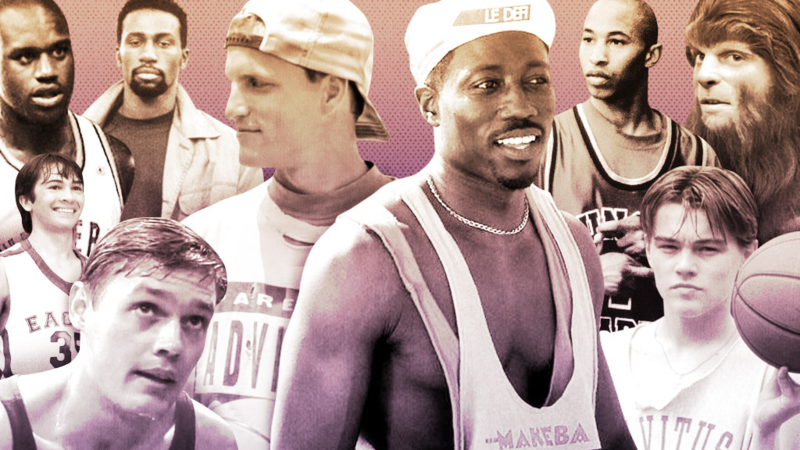 Of course there are many different lineups that can be selected from the pool of players but I tried to not overload my team from the movie Blue Chips. Also, I’m picking fictional characters based off of the movie not the actual person or player because we all know if you had MJ, Shaq and Penny you could throw 2 middle schoolers from the movie Rebound and still win the gold medal. Picking a starting 5 for this team will be difficult because you have a lot of players that can flat out ball and we still need the best of the best because other countries is still gunning from the gold medal and we can’t let that happen. I know you can substitute any one of those players and still have a dominant lineup but this is who I am sending out there to represent the United States of Fake America since this is a fake lineup. Rounding out the rest of the roster was tougher than coming up with the starting 5. Truth be told my team is going to be led by guard play and with the proper coaching I just have to hope for the best. Who is your starting 5? Who makes the squad? Who doesn’t? Do you go a different route and cast the whole monstars squad after they got their powers? What about bugs or Lola bunny? What about John Tucker? Space Man, Butta Man you name it there are various lineups you can create so let’s have fun and send us some fictional teams to the Olympics.